Miami Dice might be a play on words, but in reality, it is a world-class online casino Canada site with superb mobile functionality. This sophisticated gambling mecca is packed full of great games and generous bonuses, and its mobile app is world class. Launched in 2016 and licenced in Malta, Miami Dice has already racked up thousands of dedicated users across the globe. Featuring an impressive range of mobile games, instant-play access, loads of banking options and lucrative bonuses, it ticks all the right boxes and is a great choice for any player. Being an instant play site, Miami Dice is ideal for both desktop and mobile users. In fact, this is one of their biggest advantages. While some players might lament the fact that they don’t have a dedicated app, it does open the way for a much larger range of games and accessibility across multiple devices. Whether you are using your Android smartphone, iPad or Windows device, as long as you have the latest mobile browser, you can log on and play to your heart’s content. Miami Dice is one of those online casinos that combine fun with functionality. The site is fresh, fun and easy to use on all screen sizes. Navigation is a breeze and the site loads in a flash. The games are all listed in graphical format and extend down the page. To get started, simply tap on the game you want to play and it will automatically load and play in your mobile web-browser. If you are keen to get started winning big, Miami Dice provides a huge range of Canadian-friendly banking options for real money play. Secured with the latest SSL encryption technology, deposits can be made using any number of convenient payment options including bank transfers, debit cards, instant banking, credit cards and web-wallets. When it comes to support, the online gambling site doesn’t leave you blowing in the wind. There is a dedicated help page where you can find answers to some of the most popular questions or you can contact them directly. Available 24 hours a day, 7 days a week, the easiest way to get hold of the support team is through the on-site live chat facility. Alternatively, you can send them an email and they will get back to you. The most impressive feature of Miami Dice is the sheer number of gaming options available. This is mainly down to the fact that over 16 different software suppliers, including top names like Microgaming, NetEnt, Leander, Blueprint Gaming, ELK and NYX interactive, power the site. All together, they offer over 1000 games with all the latest and greatest titles. 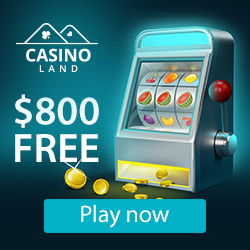 Whether you are looking for online slots, virtual Poker, Blackjack, Roulette, Keno, Bingo, Video Poker or Scratch Cards, they have everything you need in one place. The best part is that you can access them all from your smartphone or tablet with just a tap of the screen. If you are looking for a more intimate and realistic gaming experience, they also have a live dealer section where you can go head to head with real live dealers. While there are plenty of reasons to sign up with Miami Dice, we still have to tell you about the bonuses! For anyone thinking of signing up with the online casino Canada site, the good news is that the rewards start the second you join. We are of course talking about the welcome bonus. In this case, it comes in the form of a 200% cash match bonus on your first deposit. That’s not all, you also get 50 free spins to use on the latest online slots. They also offer regular promotions with free spins cash back, giveaways and other rewards!